This Xperia Z3 Battery Door is brand new and original. This Sony Xperia Z3 Battery Cover does NOT include the NFC antenna chip. 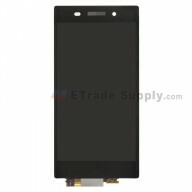 This Battery Door replacement is for Xperia Z3 only. It does NOT compatible with Xperia Z3 Dual or Xperia Z3 Compact. This Xperia Z3 will be shipped out with adhesive. The Sony Xperia Z3 Back Battery Door is available in copper at present. Special repair tools are required for replacing Xperia Z3 Battery Door. 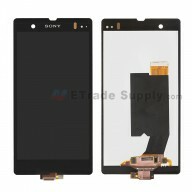 The installation of Sony Xperia Z3 Battery Door should be done by a qualified person. ETS is not responsible for any damage caused during installation. Some bad finish (print quality of logos), but enough to satisfy. It is a really bad quality battery cover. My phone slipped from my pocket onto the thick carpet in my living room and the "glass" cracked with a plastic screen protector applied. The height was less then 40cm. [ ETS Answer ] Sorry to bring you this uncomfortable feelings. Items have been inspected and ensured quality before shipping. As we know, Tempered Glass may be broken if it is knocked by hard objects. So we must be careful when take it and use it. To avoid this issue damage happening again, we would suggest you put one silicone case on your device to get it protected. Sincerely sorry for this unhappy experience you had. And your understanding is highly appreciated. great product, prompt shipment, great service! The original adhesive from this cover is without reason because the cover will not stay with this, you have to use some glue. ( I'm not sure why, I also tried with heat but without success. 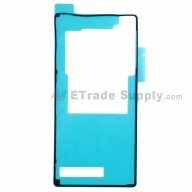 This item is an OEM product, when installation, we should be very careful in case of damage. If the problem has quality problem, would you please open an RMA process on our website and put some clear photos on the RMA, then our RMA officer will take care of your problem asap. I want to remove the adhesive it has and buy some adhesive from Etrade and put it on so it can stick better. Thank you! The quality is good, glass material. But the colour is not perfectly the same as the original. It's more clear. I received this item quicker than expected. I took the time to carefully figure out how to intstall this Sony Xperia Z3 back glass piece and it works prefectly.